In July 2016, Nomsa Natacia Luthuli, a bright and young lady who grew up in Tsakane Township, located on the East Rand began a new chapter in her life. She signed up at the Sparrows FET (Further Educational Training) College to study Early Childhood Development (ECD). 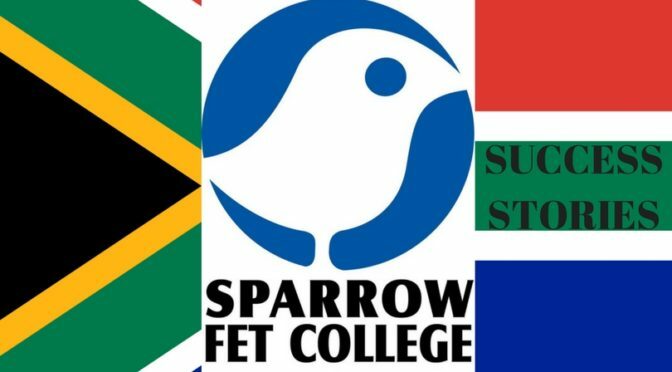 Nomsa heard about the opportunity to study for free and gain invaluable practical workplace experience through a friend who worked at Sparrow and had asked Nomsa to support Sparrow by taking part in the Spinathon and 947 ‘Walk the Talk’ in aid of Sparrow Schools. Nomsa had previously been running a catering business, which she stopped in November 2015 and although her love of cooking remains, she decided to follow her lifelong interest in childhood development. After completing six months of theory at Sparrow FET College, Nomsa started her work placement at Cubby House Preschool. This friendly preschool, is a new centre, which opened in January 2016 catering for children from the age of 2-6 years. Six weeks in she reflects on her experience, highlighting the importance of encouraging children to use their words and express themselves confidently. It was inspiring to watch Nomsa working with a 4 year old girl who has attended Cubby House since January 2016. The girl, who lives with her grandmother, did not speak any English and was very shy but since attending Cubby House and receiving 1-on-1 attention, her language development, gross motor skills and learning of colours, letters and numbers have improved dramatically. Although this is the first time that Sparrow’s FET candidate have been placed at Cubby House, Sparrow have previous connections with Cubby House’s sister organisation, Nic’s House, which supports children with special needs. Two students who completed their studies at Sparrow FET College have now been employed full time at Nic’s House. 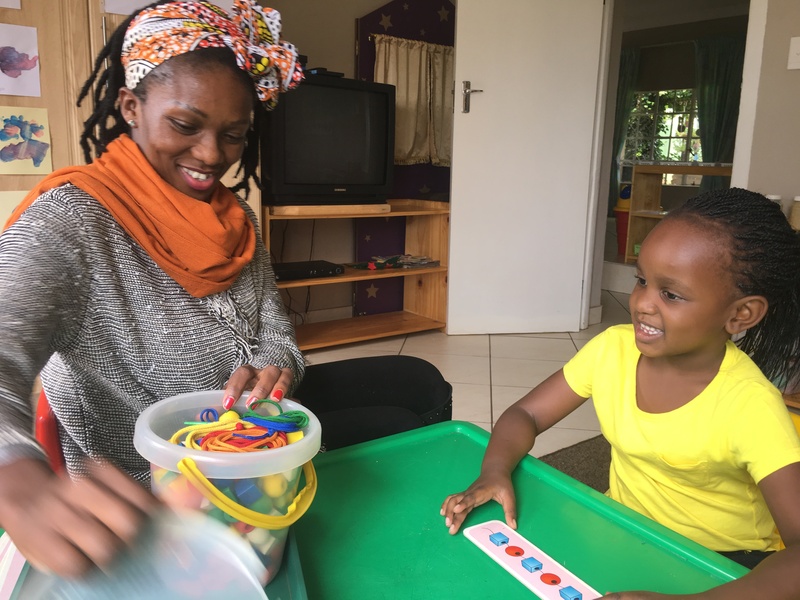 Nomsa plans to start a weekend childcare business, as she believes there is a need with lots of parents working on the weekends and struggling to find good quality childcare. 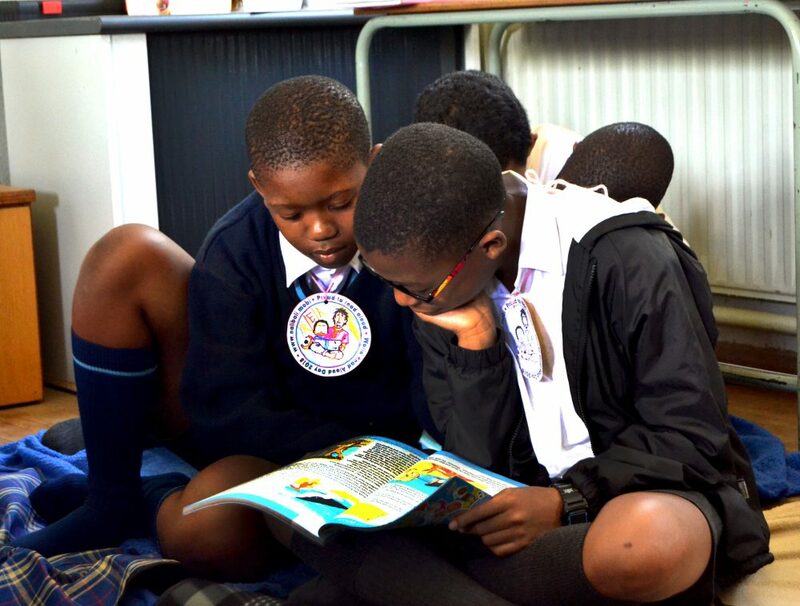 She hopes to go back to the community where she grew up and share the teaching methods that she has learnt to support the confidence and development of children from Tsakane Township.